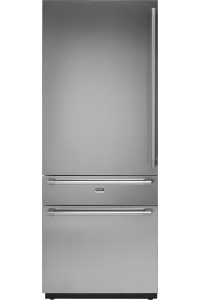 The Scandinavian style ASKO is renowned for is evident in our Pro Series refrigerators. Elegant design combines with a brilliant layout to provide households with an appliance perfectly tailored to modern lifestyles and interior décors. The stainless steel finish can add a touch of class to any kitchen’s theme, yet customers also have the option of opting for their own doors – an alternative that perfectly exemplifies the flexibility and convenience of the ASKO brand. 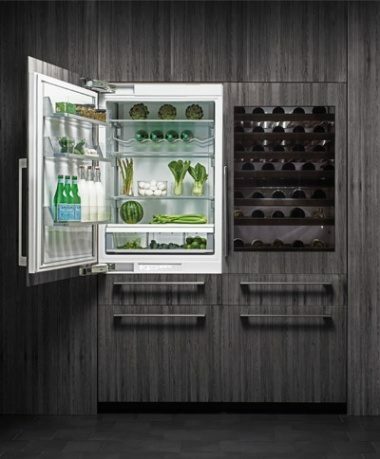 While they make a bold and beautiful statement on the outside, the true magic of an ASKO refrigerator is on the inside. With a loading capacity of more than 400 litres and a strategic layout to maximise space, these units are an ideal option for a family of any size. Combine all this with intelligent features and it’s easy to see why ASKO is leading the way in refrigerator design. Sometimes circumstances such as an upcoming party can lead to some overcrowding in even the most spacious refrigerators. Each ASKO model solves this dilemma thanks to a convertible extra drawer with separate temperature controls. Choose between freezer, fresh-food or wine mode depending on what’s being housed here temporarily. Different foods require different conditions to maintain their optimum flavours and textures. In ASKO refrigerators, every area is properly closed off, allowing you to create the perfect climate for every type of food and beverage. A compressor and evaporator in each section makes it easy to store both frozen and fresh items properly by controlling temperatures as well as humidity levels. Keep your wine collection perfectly cooled on extendable beechwood racks that provide a gentler chilling experience for your bottles. Your favourite wines (and bottles that are already opened) can be displayed neatly on the angled rack at the bottom of the wine chiller. 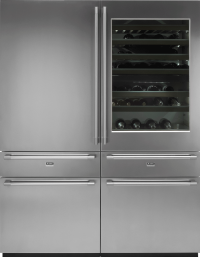 The storage temperature plays a significant role in the taste of a wine, so you can truly benefit from the intuitive temperature controls of this fridge section. To discover more about our refrigerators and other top-quality kitchen appliances, please browse our website further, contact our friendly team or find your nearest ASKO dealer today.